Welcome to the Unicorn Kafe Hanoi – a place of happiness, friendship and fun! 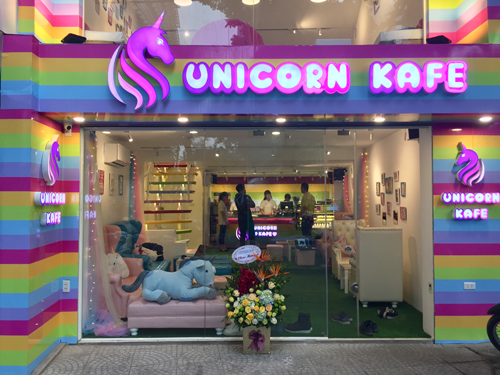 Inspired by their daughter’s love of Unicorns, Linh & Michelle created this unique Kafe in the heart of Hanoi selling decadent drinks and delicious desserts. With Unicorn onesies to be worn and Unicorn souvenirs available to purchase visitors can relax and unwind while escaping the hustle and bustle of Hanoi’s busy streets. So whether you are a local or visiting from far and wide be sure to pop in and say Hi!